Shot at the entrance of an alley near 9th St and Olive St in downtown LA. 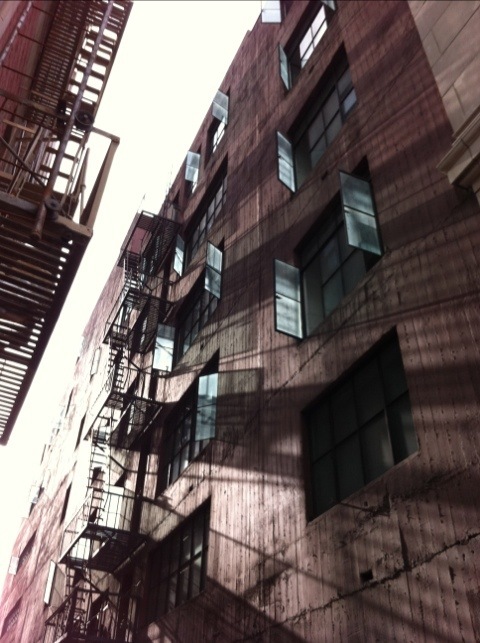 Beautiful play between sunlight, blue glass windows, and metal on the side of the building. This entry was posted in Stream on 2011-12-01 by Joshua Beeler. Lunch at Bottega Louie. 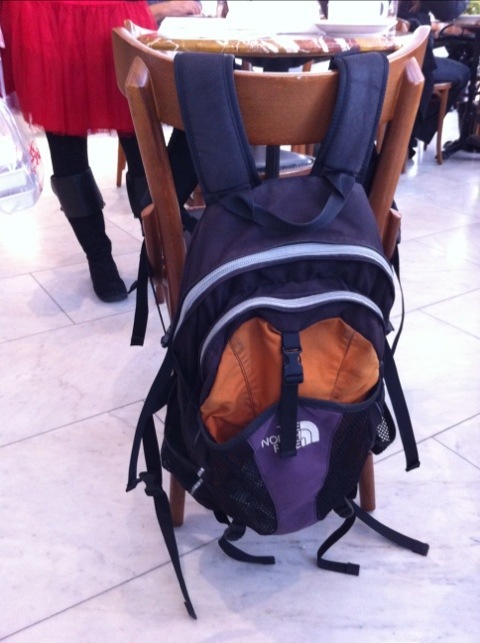 Their cafe chairs are perfect for hanging a backpack.